I think ice cream may be one of the hardest things to photograph. I swear in the time it took for me to raise the camera up to my eye, the ice cream melted. I was constantly putting the tin back into the freezer to harden up and then taking it out again to quickly photograph, just to see that it melted everywhere again. It also didn't help that the sun was playing peek-a-boo-with the clouds and just as I would adjust the camera settings, the light would change and I would have to adjust them again. I played around with the idea of not posting, but then, just as I was giving up, I licked the ice cream scoop and realized I needed to share. So these pictures are not at all how I wanted them to be, but the taste definitely is! This is my first time trying ice cream made with coconut milk and I am definitely a fan! This ice cream is pretty sweet, so you can play around with the amount of sugar in it. 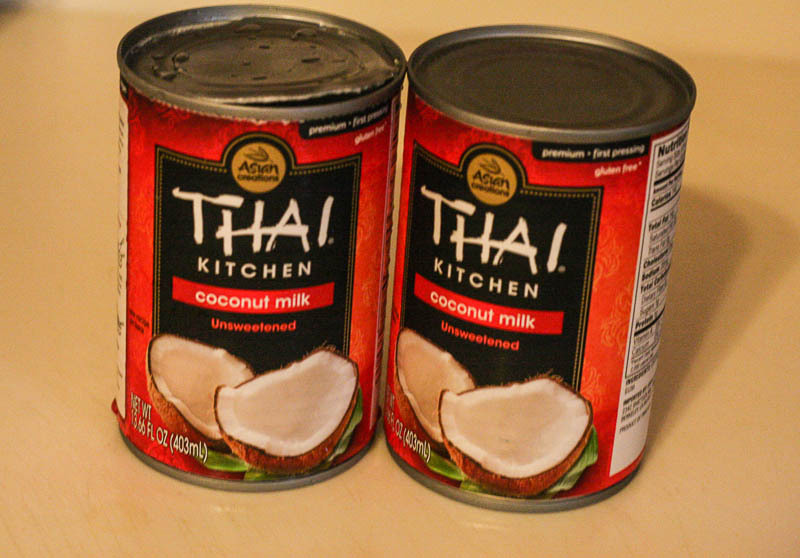 I also used two cans of full-fat coconut milk, but I'm sure using one full-fat can and one light can would be fine. This recipe is also vegan, gluten free and dairy free! 2. Pour into an ice cream maker and process according to manufacturer's instructions; remove to a freezer-safe container and freeze for about two hours until the ice cream is set. Oh my gosh. This looks more like the consistency of gelato, which is incredibly delicious. 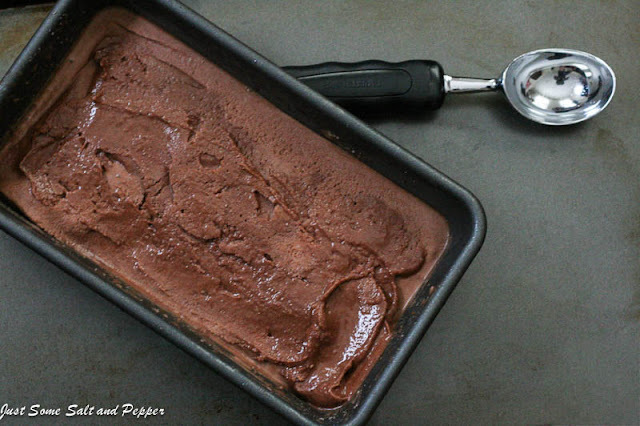 I don't think I'm adventurous enough to start making ice cream (plus I don't have an ice cream maker, so there's that), but I'd love to eat some of this! Oh boy - does this look good! I am not a huge pure coconut fan but I absolutely love anything with coconut milk. I know it's delish! I still have yet to try ice cream made with coconut milk! Looks so rich! This looks fantastic! Dairy Free and Chocolate? I'm making it! Oooo this looks delicious! I love coconut and this combination just sounds great. I tried taking photos of popsicles and that was hard enough...I can't even imagine how ice-cream is. Looks delicious! I've made coconut milk ice cream before. 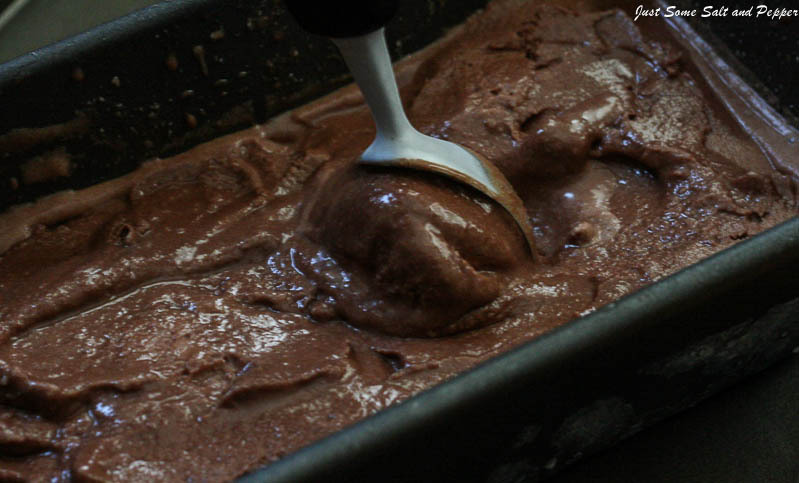 When I make my ice cream, I always let it freeze over night and then take photos the next day. Works like a charm! Melanie...this ice cream is gorgeous! All of your photos have me wanting to lick my screen! I am a new fan of coconut milk and have yet to try it in ice cream. But the coconut and chocolate combo is so irresistible to me! Boy, do I wish I could have a scoop of this right now! !